Another great sports activity made its way to Madeira a few years ago: coasteering. Originated in Wales, this sport is now one of the many natural adventure experiences on Madeira. 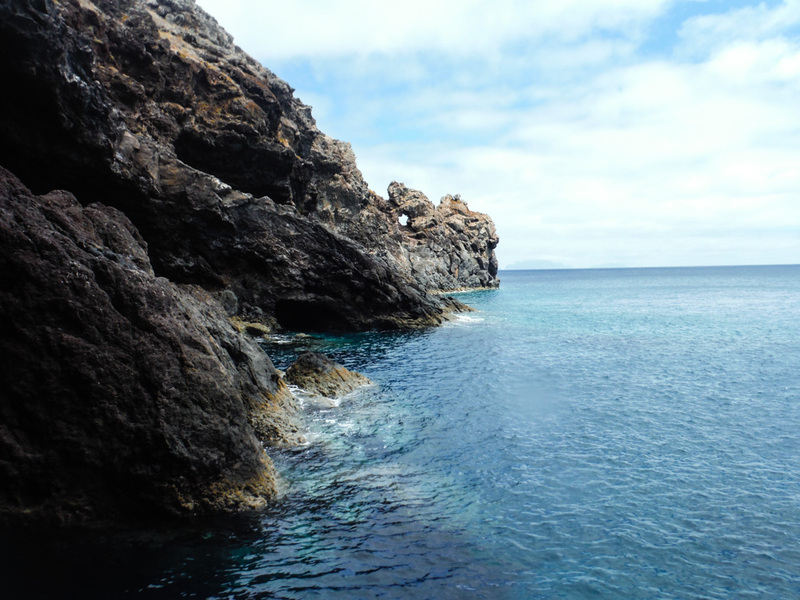 Madeira’s rocky shores and crystal clear ocean make the island a perfect location for this activity. Well, it’s a lot of sports combined. It involves rock scrambling and climbing, cave exploring, snorkeling, swimming and cliff jumping. It’s another great adrenaline inducing experience. Moreover, this activity is also about discovering the coastline in a way you just can’t when you’re hiking the cliffs high above. 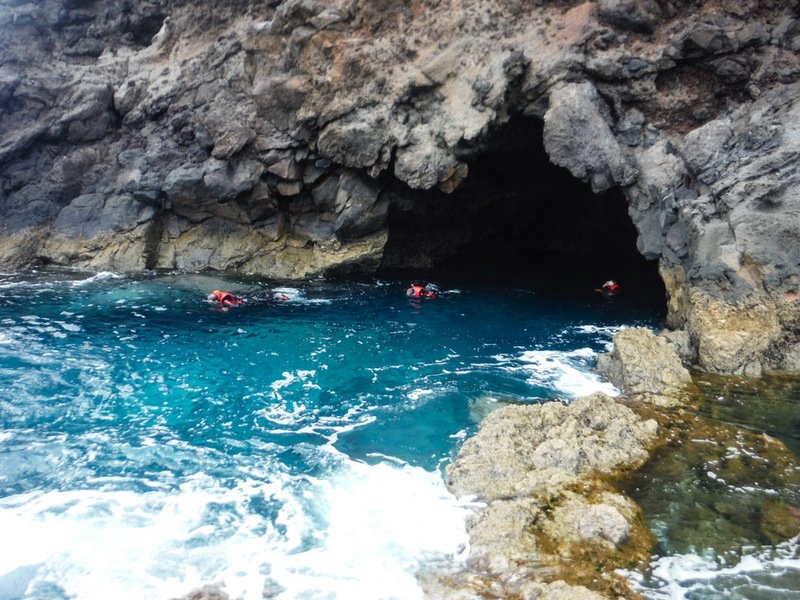 There are several organisations offering coasteering on Madeira. The guides know the trails by hand. They know which cliffs are safe to jump and will show you the best spots for cave exploring and snorkeling. Most tours will take you to Ponta de São Lourenço. Here they’ll guide you along a trail packed with high jumps, beautiful coastal landscapes, clear blue water and various hidden caves. Can you swim? Do you like adventure and exploring? Just give it a try! If you have done canyoning (and enjoyed the experience), you will absolutely like coasteering too. Want to know more about coasteering? Send us a message and we’ll be happy to help. We can also recommend some nice companies for a fun and exciting experience. 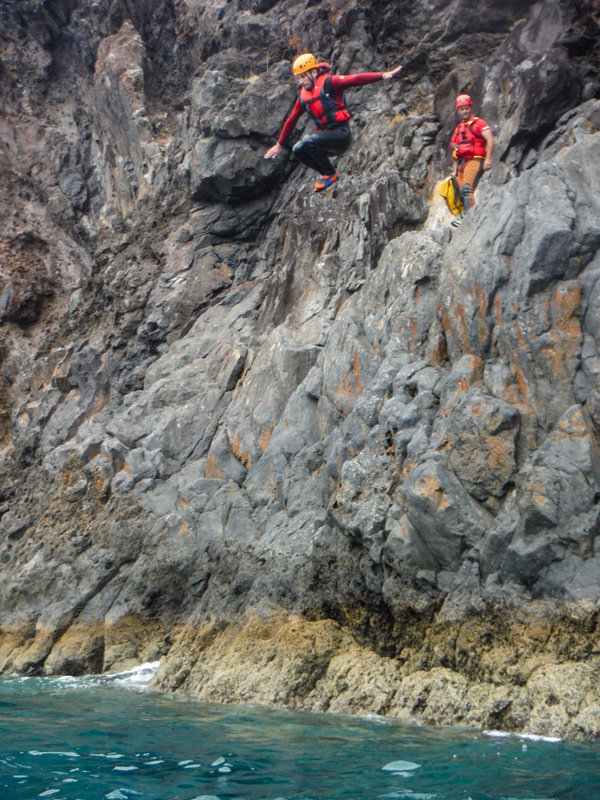 For a report of our own coasteering experience: read more on this blog.